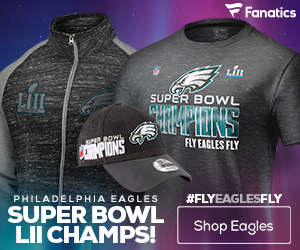 The Philadelphia Eagles (4-8) took on the Seattle Seahawks (5-7) on Thursday Night Football, in what was originally thought to be an easy win on the road. 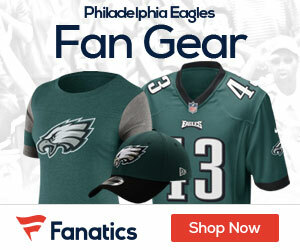 However, the Eagles failed to put up any resemblance of an NFL team and were blown-out in Seattle, 31-14. Everything about the Eagles performance in this game stunk of a team that no longer was playing with any meaning, and was the most disappointing performances of the season. From Philadelphia’s defensive performance, which was abysmal and bad, to their offense, where only one player put any effort into the game, nothing was good. The Seattle Seahawks incredibly underwhelming offense had almost no trouble moving the ball against the Eagles defense, and the offense was flat for nearly the entire game. The coaching from Andy Reid was miserable, and it is totally puzzling what kind of game plan he went into this match-up with. 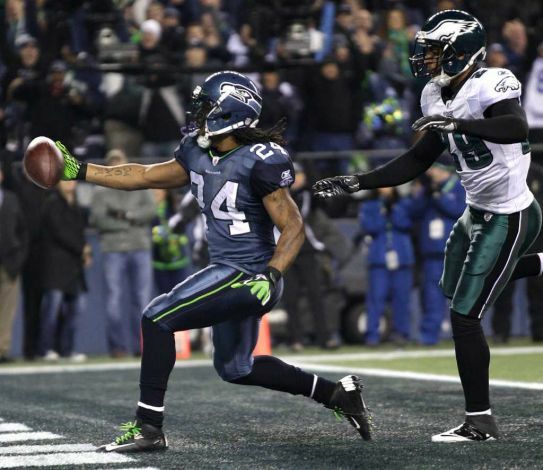 Marshawn Lynch, the Seahawks best offensive weapon, went beast mode on the Eagles defense and ran for 115 yards and two touchdowns. Throughout the entire game, Lynch had almost no trouble steamrolling the Eagles second and third levels, and poor tackling was a trend throughout. Tavaris Jackson did nothing more than manage the game, throwing for 190 yards and one touchdown, but the Eagles secondary still looked disorganized and confused. On offense, Vince Young did his best, but still managed to throw four interceptions, and only one touchdown. Young had flashes of brilliance, but showed once again that his decision making is not that of an NFL quarterback, and his throws ended up dooming the Eagles late in the game. Although, LeSean McCoy was as good as usual, and was the only player on Philadelphia’s offense that was actually trying to win the game. The saddest part — McCoy was listed as questionable for this game, due to a turf toe injury. But even through his injury, McCoy was able to rack-up 84 yards and one touchdown on the ground, and added four receptions for 49 yards and a touchdown through the air. It seemed that on every single play that McCoy was in the backfield, he made some sort of impact. Obviously the most notable being scoring the Eagles only two touchdowns of the day, but his effort went much farther than just beyond the stat sheet. This loss to the Eagles in the grand scheme of things doesn’t actually mean all that much. Philadelphia was already clearly eliminated from the playoffs, and the team was really only playing for pride at this point. The worst part about this loss is that it makes the team look really bad in the national spotlight, and furthers the case that Reid should be fired as the head coach. It is painful to watch the Eagles struggle this much when expectations were so high coming into this season. But the sad fact of the matter is that Philadelphia was really just about finished this season after about four weeks in. The Eagles may have come up with some clutch wins at random times, but it didn’t change the underlying theme, which is a group of overpaid, underachieving superstars. Next week Philadelphia takes on the Miami Dolphins on the road, in what really should have been a sure-fire win, but at this point this game could end up being a loss. Given Young’s recent performance, and the Eagles being eliminated entirely from the playoffs, it’s possible that Mike Kafka could get the starting role next week. But once again, at this point in the season, the Eagles will be playing for a pick in April’s draft, and I don’t expect to see much of a change from what happened against the Seahawks.